Instagram: for work, for pleasure, for life. Instagram’s growth shows no sign of slowing down and it now boasts 1 billion monthly (and 500 million daily) users. Brands love it and the ‘Stories’ function has really taken off. So just how can you make Instagram work for you? If you’re looking to improve your Instagram offering, generate more creative and engaging content and come away brimming with ideas and inspiration, then this is the course for you. 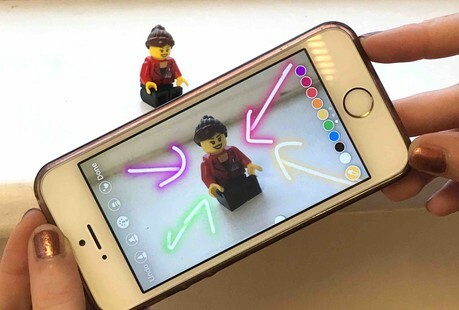 Designed and led by former BBC journalist Sue Llewellyn, this course will help you to master the art of Instagram to create more beautiful and engaging content and to develop a clear and effective strategy to get the most out of it. Aimed at food/drink/beauty brands and bloggers, photographers, journalists, programme-makers, PRs and comms teams, this course is perfect for anyone – especially creatives with a visual hobby or passion - who wants to be able to generate beautiful photos and tell more emotionally engaging stories. As with all Journalism.co.uk courses, the training will focus on the latest tools and techniques with an emphasis on practical, hands-on learning. Delegates will need an Instagram account, a Smartphone (with space for shooting a few photos/videos), charger/battery pack and notebook and may be asked to do a (very short) bit of homework to bring on the day. A sandwich buffet lunch plus tea and coffee is included. Sue is a former BBC journalist who spent 15 years in the TV newsroom. Over the last nine years she has worked as an independent consultant helping leadership teams develop social media strategies and training. Her clients include BBC News, BBC Academy, Financial Times, Foreign and Commonwealth Office, Bank of England, Team GB, ITV Good Morning Britain, Thomson Foundation, Immediate Media group, UNHCR and many other large and small businesses, brands and start-ups. She pioneered the introduction of ‘Twitter Masterclasses’ in the heart of the BBC newsroom and since 2009 has been responsible for designing and leading a wide range of social media training across the corporation. To date she has personally trained over 5,000 people worldwide including many of the top names in British broadcasting. She regularly speaks at conferences on The Psychology of Social Media and How journalists are using social media to engage audiences.